Book – Historical fiction. By Winifred Conkling. 2011. 160 pages. Based on the true story of two girls who meet in 1940s California and a landmark lawsuit on education. 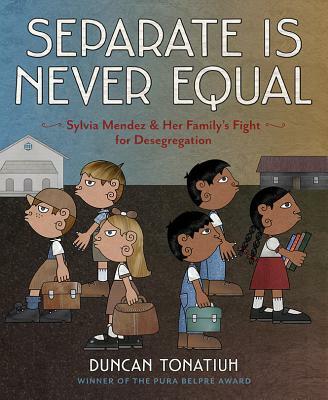 Sylvia & Aki is a middle school book based on the true stories of Sylvia Mendez and Aki Munemitsu Nakauchi, two 3rd graders whose lives are connected by history. When Munemitsu’s family is forced to leave their home in Westminster, California to a Japanese American internment camp in Arizona, the Mendez’s move into their home. Sylvia Mendez looks forward to her first day of school, only to be told she and her siblings cannot enroll, whereas her lighter skinned cousins can. This leads to the ground-breaking Mendez vs. Westminster School District desegregation lawsuit which preceded Brown v. Board. Munemitsu worries everyday about her father who is interned separately for most of WWII. This book of historical fiction by Winifred Conkling (author of Passenger on the Pearl: The True Story of Emily Edmonson’s Flight from Slavery) alternates chapters between the experiences of Sylvia and Aki, introducing the reader to the daily injustices of internment and school segregation. ISBN: 9781582463377 | Published by Tricycle Press/Random House. Teaching Activity. By Mark Sweeting. 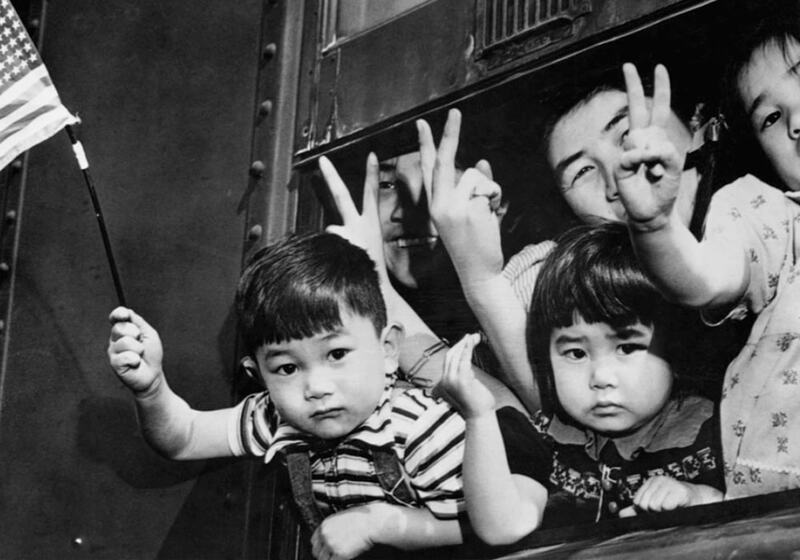 How one teacher engaged his students in a critical examination of the language used in textbooks to describe the internment. Book – Non-fiction. By Duncan Tonatiuh. 2014. 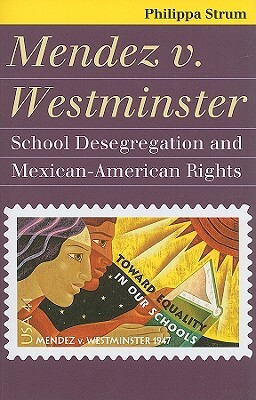 Upper elementary school picture-book about the Mendez v. Westminster case to desegregate California schools. Book – Non-fiction. By Philippa Strum. 2010. Description of a pre-Brown v. Board desegregation court case involving Mexican-American families. Film. By William Elwood. 1990. 56 min. 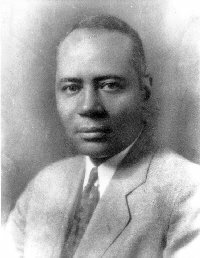 The little known story of Charles Hamilton Houston who paved the road to Brown v. Board.